There is a total of 12 islands in the Manuel Antonio coastline. It takes us about 20 minutes to visit most of our Dive Sites. We take into consideration your level of experience and local conditions to take you to where you will enjoy the trip to the fullest. Most of the dive sites have about 35 to 60 feet. However, there are diving sites with much deeper water. The scuba diving tours are guided by a PADI professional with many years of experience and a lot of knowledge. The captain will take you to several dive sites where you will see most marine life and underwater formations. The dives typically last 45 minutes. There is a chance to see volcanic rock formations, with hard and soft corals. Some of the species that you may see are Snapper, Jacks, White Tip Reef, Sharks, Angel Fish, Moorish Idols, Parrot Fish, Puffer Fish, Octopus, Eels, Crustaceans, Sea Turtles and in Season (December-May) Manta Ray. 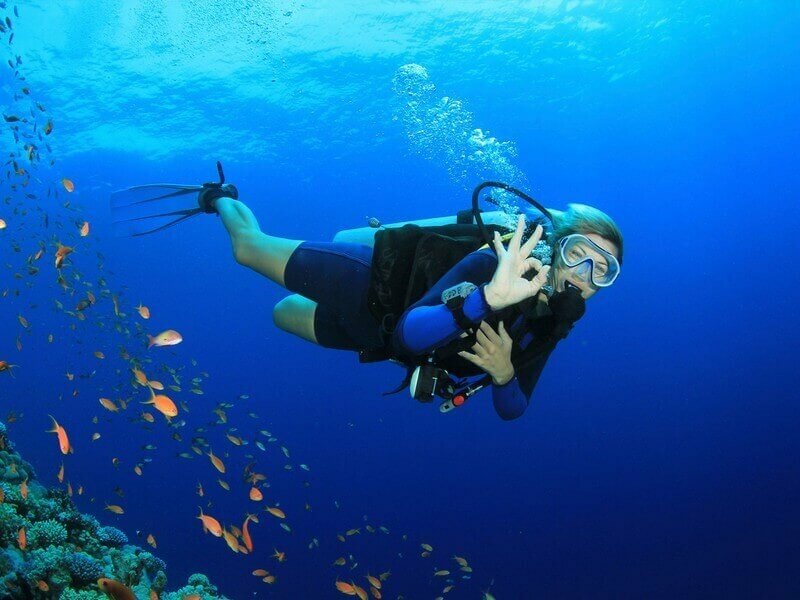 For us to take you on our scuba diving adventure, we must inform you that you must have a scuba dive certification. If you do not have this certification, no worries, you can take part of a discover scuba program under the direct supervision of a PADI instructor. We also have the option of enjoying some snorkeling for those who don’t wish to dive. Included is all equipment, guides and snacks. Two Tank Dive with Equipment is $109 per person. Unguided Snorkeler is $55 per person. Guided Snorkeler is $75 per person.